images from here. 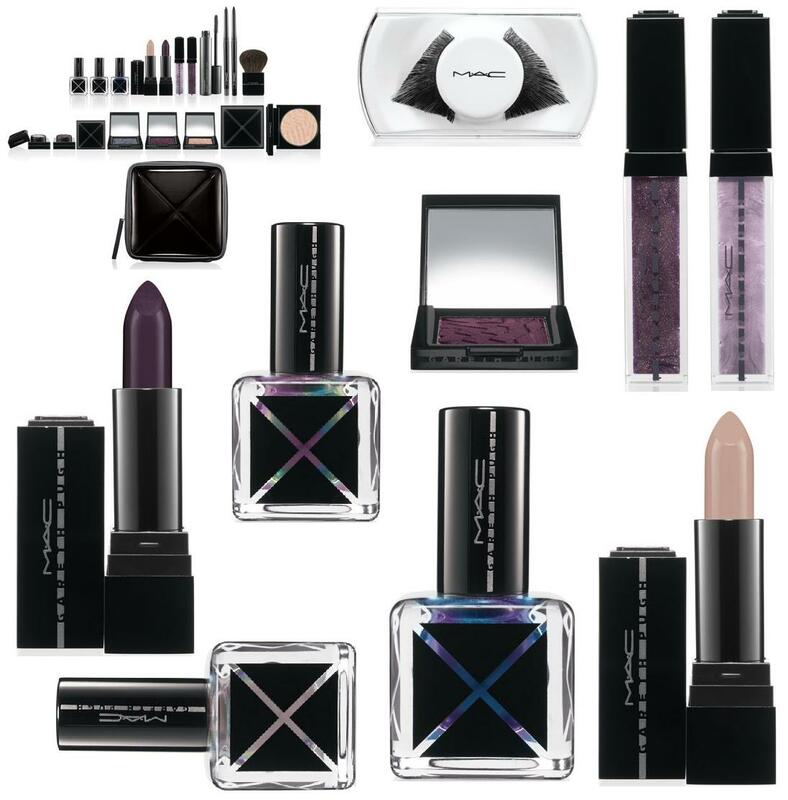 clockwise from left: full collection / eyelashes in flashlight / purple lipgloss in outrage / lilac lipgloss in vacant / purple eyeshadow in metal x ardent / washed out pink lipstick in restrict blue/purple nail polish in hyper / iridescent pink/grey polish in inert / purple lipstick in fervent / purple/green/blue nail polish in ascension. *not all of the collection is included in the above image as i couldn’t find all the pictures, so i will update if found. i am very interested in the nail polishes in this collection, they look like oil when it’s been spilled on the ground. i wonder what they’ll look like on the nails. the actual styling is lovely and minimal, reflecting gareth pugh’s ethic very well. i’ll be interested in seeing them all in real life, especially the dark purple shades. overall, a lovely collection, though not for those who like lighter more natural colours.